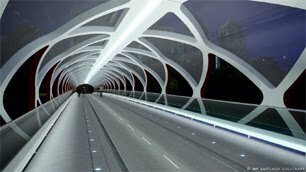 When I first found out that Santiago Calatrava was building a bridge in Calgary I was ecstatic. The world-renowned, award-winning, Spanish architect, famous for his bridge structures, was coming here, and building a bridge! In my naivete, I thought the entire city would be as thrilled as I was. In hindsight, I can see that if you had never heard of the architect Santiago Calatrava, what may have stood out instead in the press coverage were the words "foreign" "expensive" and "unnecessary pedestrian foot bridge". Hmmm....what a different picture formulates in one's mind. Has ever a piece of infrastructure caused so many arguments/hate blogs/fodder for political posturing as the Peace (can someone say misnomer?) Bridge? There has been so much misinformation about this project that I don't even know where to begin. A big concern now, is that even if Calgarians get the correct information, they've already made up their minds about it (and they're stubborn, like me). 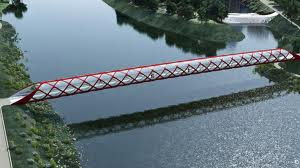 But I can't be the only one who thinks this is a great opportunity for Calgary to get a much-needed tourist-friendly landmark bridge built in the city center? I think we can all agree that the neigh-sayers have certainly had their opinion broadcast loud and clear. 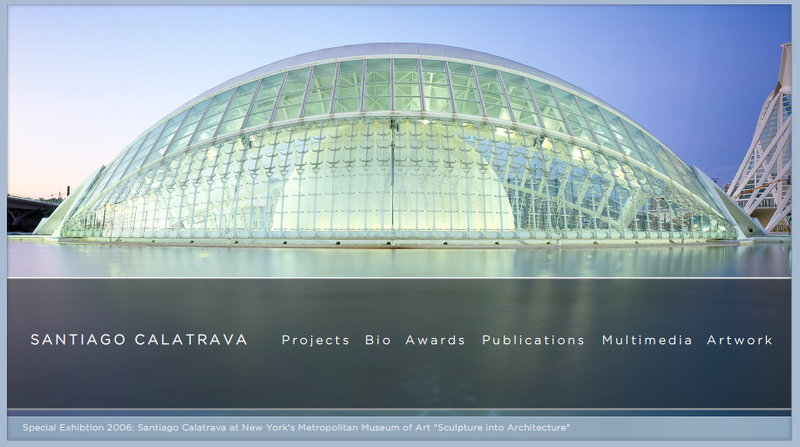 Now its time that all you Calatrava fans in the house get a bit loud. 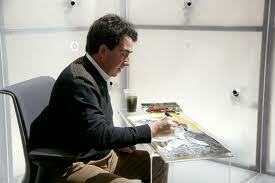 Briefly, Santiago Calatrava - engineer/architect/artist is someone you should want to build your bridge. He's garnered an international reputation for designing and building award winning bridges (among other things) beginning with his 1984 'Bach de Roda Bridge' in Barcelona (pictured below). He's got the eye of an artist, giving his structures aesthetic appeal, and the PHD in engineering to give them physical staying power. With a self-titled coffee table book by Taschen and a solo-exhibition at MoMA , this is someone you should want associated with Calgary. If you haven't already, I urge you to visit his website to see the long list of projects/awards/publications under his belt. How lucky we are! I applaud those inspired enough in City Council and transportation to suggest him. I do wish however that more information about him (and his huge talent) got out to the general public in a clear and concise way. Right from the start. But that was not meant to be. What it became instead was an opportunity for those in politics and the media who were against the bridge to run amok, using it as a symbol of fiscal irresponsibility by City administration. This issue became more than the sum of its parts. Following is a quick review of the parts. Part one: the City Centre Plan, unanimously supported by City Council, identified the need for two additional pedestrian bridges along the river. In the fall of 2008, the majority of Council members (that's right, the majority) approved construction of one of these bridges which would be located west of Prince's Island. The bridge met both Council's and the Transportation department's desire for more sustainable transportation options. And with a growing number of pedestrian commuters in the core, a smart addition. Part two: We've got some excellent local talent here (some of my best friends are architects!) 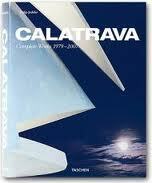 but even they, for the most part, are thrilled to be getting a Calatrava Bridge. It has been noted, but I'll mention it again, that this project is not devoid of local talent. Take for example Graham Infrastructure, the local construction company who, over a five month period, will be assembling the bridge pieces once they are shipped here from Spain. The majority of the project sourced local talent and was tendered through competitive processes, including construction, geotechnical investigation, hydrotechnical reviews, and input from lighting designers. Only the design of the bridge was single-sourced to a well-respected architect who wasn't born here. Try this test. How many buildings in Calgary do you think were built without the use of outside talent or materials? Not many. This is a global economy allowing for the free flow of goods and services across countries. To hear the talk of protectionism from the right is so ironic. More proof that this issue is not about ideology but about cheap politics. Part four: Even if you're not fond of the "look" of the red and white (chosen as Canada's colours) tubulur design, you have to be impressed with the feet of engineering this bridge displays. Unlike almost every other bridge on earth, the steel helix supports itself, needing no beams, arches, or cables for lower supports, other than embankments hidden in the river banks. So the entire bridge seems to float just a few feet above the water, like magic. It's an impressive display of technical mastery. I've noticed that Calgarians get nervous around anything that smacks of aesthetics but they are quite comfortable with the world of engineering (we have a high percentage of engineers in the city). This bridge gets points on both sides. Let's not forget that there were many who wanted the Eiffel Tower demolished because it was considered an eyesore in 1889. Aesthetics are so subjective and they change over time. And I haven't even mentioned my favourite part – that the bicycle and pedestrian lanes are separate - no jostling for position! 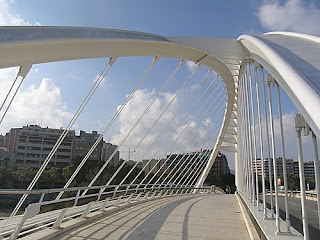 And at over 6 meters wide, this pedestrian bridge allows for more elbow room than most downtown commuters are used to. It's like the autobahn of pedestrian bridges. Part five: It's nice to see infrastructure money going towards something other than a standard suburban freeway overpass, but really, isn't that the biggest problem here? No one ever talks about the cost of summer road construction going on right now. They just talk about its inconvenience. For once some money is going towards a highly visible bit of pedestrian infrastructure! In Calgary this is a news item in itself! You can bet this wouldn't be an issue in many world cities. Budgets are just values expressed. If you don't value an inner city pedestrian bridge designed by an award winning architect, it won't matter what the price tag is. It would be too much. Perhaps this issue has brought out the need to consider what we value. What does it say about a city that is only comfortable putting money into suburban overpasses? Ignore the political posturing. Politicians are famous for using projects like this to gain political points. And try and read between the lines of media output. Controversy sells more papers than articles on boring city infrastructure. Try and make peace with the Peace Bridge. When I heard Charlie Rose on PBS mention Calgary (http://www.charlierose.com/view/interview/10857), I felt reassured in my decision to constantly defend the Peace Bridge to any who would listen. I have to admit being overjoyed when I found out that Calgary was finally going to host work from a world-class architect. This city truly lacks great architecture. If as a city, we really aspire to be world-class, we better step up our architecture game. One only needs to look at the impact that Gehry's addition to the AGO and the Michael Lee-Chin Crystal at the ROM have done for Toronto's architecture scene (which, as much as it pains me to say it, already had a lot going for it with the OCAD building, Roy Thompson hall and that wacky city hall...). Still, I have to admit having been somewhat disappointed when the design was unveiled. If you'll pardon the pun, it did seem somewhat pedestrian compared to most of his other work. I understand however that the design did stem from some pretty steep design constraints (single span, no tall towers...). I'll reserve final judgement until I see the work completed. It looks like a giant chinese finger trap. It's HIDEOUS...if it looked half decent, I might have ignored the HUGE waste of money this is. At least the Stony Trail Ring Road has a purpose other than vanity. If this guy was talented why did he leave his talent at home? I can understand him taking advantage of money that is being thrown at him...but to insult the city's inhabitants by this monstrosity? REALLY???? For what he's being paid, he could have at least kept one eye open when he allegedly "designed" this parasitical eyesore. The bridge will be stunning and will quickly become the subject of postcards as symbolic of Calgary. The Centre Street Bridge, in my opinion, is the only other bridge in town that is indeed iconic, and is loved by most. One of the only built elements of the seminal and heroic Mawson Plan of 1912, my guess is that it also was not the subject of a local RFP (Request for Proposals) but rather the legacy of a visionary Mayor and Council.